Europe In-vitro Diagnostics Market size was valued at USD 14.2 billion in 2017 and is expected to witness growth of 5.7% CAGR from 2018 to 2024. 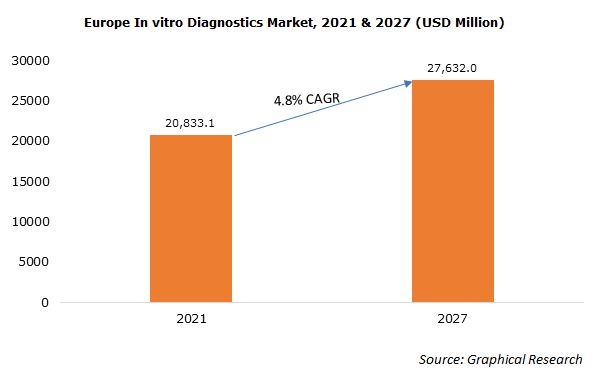 Europe in-vitro diagnostics market should experience substantial growth in the upcoming years due to increasing adoption of technologically advanced diagnostic equipment available. Key manufacturing players such as Roche and Thermo Fisher focus their efforts on R&D to integrate technology within devices that will increase the preference of these devices over the conventional ones. Above-mentioned should augment industry growth over the forecast timeframe. For instance, Roche has adopted a specific technology that has improved its clinical chemistry portfolio influencing the demand for such devices positively. However, in-vitro diagnostics market growth can be hampered due to the high cost of diagnostic procedures. Instruments segment will grow at 4.9% CAGR over the forecast timeframe and will follow similar trends in future. Availability of high precision instruments developed by the leading players will aid accurate disease diagnosis that should increase its preference by the hospitals and pathological laboratories thereby will escalate the segmental growth. Data management software segment held USD 2.1 billion in 2017. Availability of reliable and affordable software packages that ensure data safety and facilitate the performance of diagnostic services will boost the segmental growth over forecast timeframe. Industry competitors such as OraSure and Roche diagnostics will further impact the in-vitro diagnostic market growth positively by developing superior quality software to manage patient’s data. Molecular diagnostics segment will grow substantially at 7.6% CAGR over the forecast timeframe. Growth of the segment will be accounted to the extended applications of molecular diagnostic in drug discovery process. Utilization of DNA probes, PCR techniques, fluorescence in-situ hybridization and micro arrays to diagnose diseases such as sickle cell anemia, Down’s syndrome at molecular level will have positive impact on molecular diagnostics segmental growth. Oncology segment accounted to considerable market share of 20.7% in 2017 and this high growth can be accounted to the increasing cases of cancer. According to Cancer Atlas, in 2013, there were around 3.5 million new cases of cancer that will have a positive impact on the segmental growth. Point of care diagnostic devices segment was valued at USD 3.3 billion in 2017 and is projected to grow over the forecast timeframe. Increasing prevalence of diabetes specifically will drive the business growth. Availability of technologically advanced glucose meters possessing high efficiency will have increase the preference for point-of-care devices thereby will augment business growth. Germany in-vitro diagnostics market accounted for 14.8% revenue share in 2017 and will have substantial growth over the forecast period. 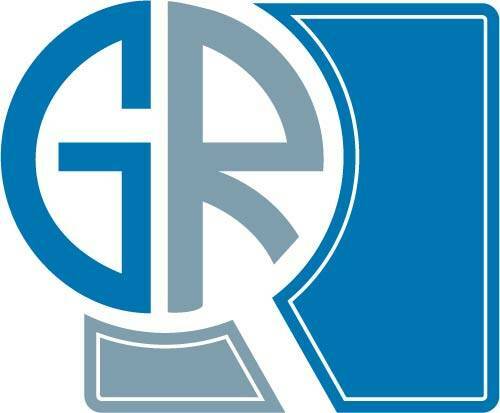 Major factors driving industry growth in upcoming years are increasing disposable income level, high adoption rate of technologically advanced diagnostic devices and high preference towards personalized medicines. Furthermore, availability of technologically advanced diagnostic devices will impact the in-vitro diagnostics industry growth positively. Some of the major industry players operating in in-vitro diagnostics industry is Abbott, Becton Dickinson, BioRad, BioMerieux, Cephied, Danaher, Grifols, Johnson & Johnson, Luminex, Roche Diagnostics, Siemens, Sorin, Thermo Fisher and Qiagen. Industry players implement various strategic initiatives such as acquisitions, mergers and new product launch to sustain the competition. For instance, in April 2018, Biomerieux announced its acquisition of Astute Medical Inc. This acquisition will help in expanding Biomerieux’s high medical value immunoassay biomarkers portfolio. Europe in-vitro diagnostics industry is highly regulated that improves the quality of reagents and in-vitro diagnostic devices offered by the manufacturers. These regulations act as a positive factor influencing the industry growth by increasing the adoption rate of automated and technologically advanced in-vitro diagnostic devices. Moreover, the industry is consolidated in nature with few players dominating the industry creating entry barriers high for any new player to establish itself in this industry.